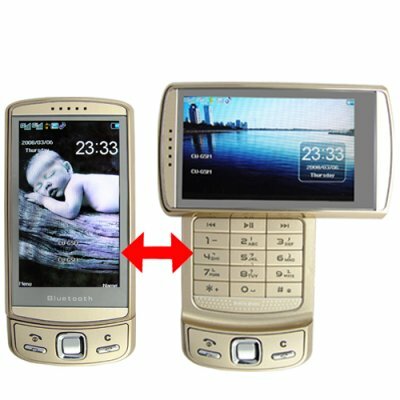 Successfully Added Quad Band Swivel Screen Cellphone With Accelerometer (Bronze Ed) to your Shopping Cart. Four Band GSM (850MHz, 900MHz, 1800MHz, 1900MHz) swivel screen multimedia cellphone with Bluetooth, Dual SIM, TV, FM radio, and large 3 inch polarized LCD screen as it signature features. very nice phone, great and easy menu. works great with local networks.... So far no problem at all.